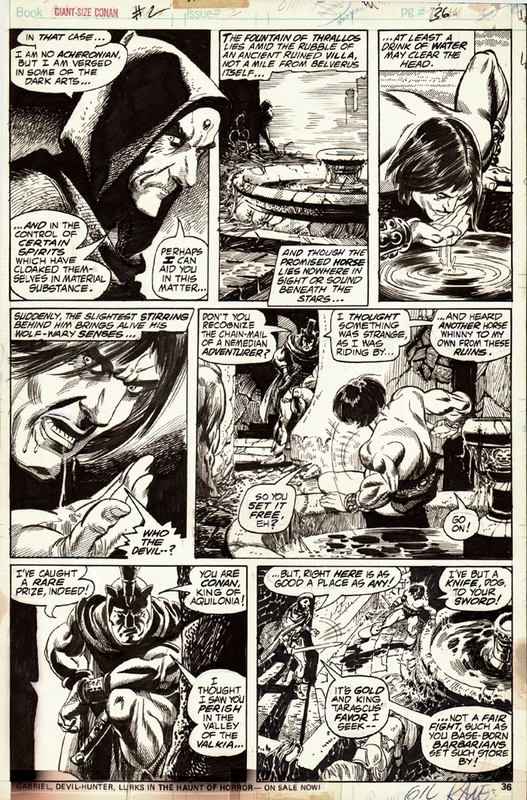 This stunning 1974 Conan page, drawn by the great Gil Kane, was inked incredibly by the great Tom Sutton! He inked over half of this art board just to get the perfect look! WOW!